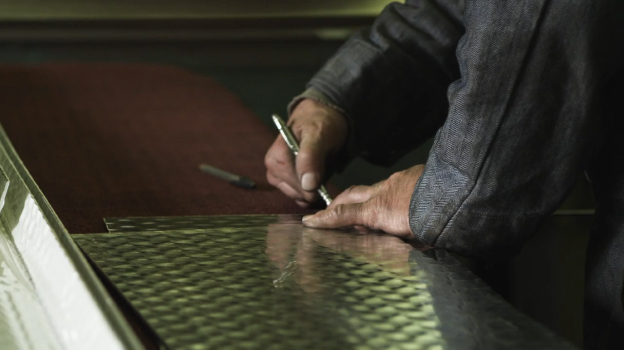 This is a short documentary type film by Vita Brevis, in which they interview Metal-fabricator Neil Youngberg. The series titled ‘PROFESSIONal’ will be compiled of many more like this, I think we’ve just got to wait until they all release. I know i can’t wait. I love it when people document craft, and when you get to hear from individuals with real knowledge and wisdom. It’s really inspiring. Take Neil for example, he’s a 3rd generation craftsman, and he’s been through some extremely tough times. But his work prevails and lives on, everyday homing in on his own little niche. Vita has a little caption underneath their film which really speaks for the whole series, they said, “A deeply personal project for all involved, this on-going series seeks to shed-light on forgotten trades and practices in an evolving America”.